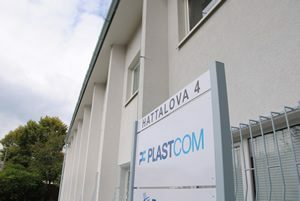 The company Plastcom, spol. s r.o., was established in the year 1991 with the aim to trade with chemicals. 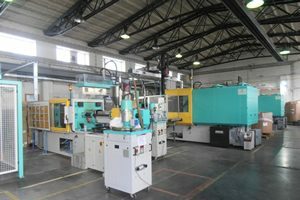 Since the year 1996 the company has been involved in the production of engineering plastics for injection moulding on the basis of thermoplastics. Plastcom, spol. s r.o., is involved in research, development, production, recycling and application of engineering plastics for injection moulding, including technical support. Our products include engineering plastics on the basis of the basic polymers including polyamide 6 (PA 6), polyamide 66 (PA 66), polypropylene (PP), polybuthylenetherephtalate (PBT) with chemical reinforcement of glass fibre, glass beads, talc, limestone, incombustible adjustment, heat and UV resistance and antistatic stabilization in different colours according to the RAL scale. Our know-how and flexibility enable us to offer tailor-made products according to customer requirements and technical service at the point of product application. In the Quality Management area, our company has a Quality Management System in place which meets the requirements of the norms EN ISO 9001:2015, I IATF 16949 and ISO 14001:2015 certified by the renowned cerification company TÜV SÜD. We were awarded the Prize of the Slovak Republic for Quality in 1999 and the National Prize of the Slovak Republic for Quality in 2000. 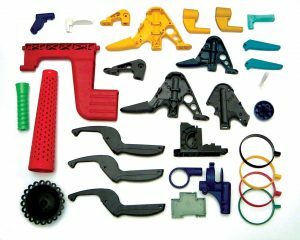 Our products are used (see Application) as engineering plastics for injection moulding with wide-ranging application in the areas of the automobile, engineering, electrical and consumer goods industries. Plastcom has a Quality Management System in place which meets the requirements of international norms ISO 9001:2015 , IATF 16949 and ISO 14001:2015 . The certification process of these norms is regularly carried out by the renowned certification company TÜV SÜD. Our aim is to continuously enhance the system in order to improve our company’s market position.For continuous quality assurance of our products, our production plant in Nitra is equipped with a laboratory for various types of tests. 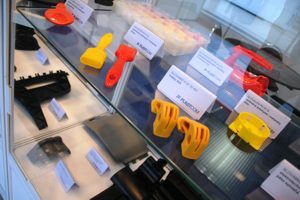 As a producer of engineering plastics, to act as a quality, reliable, stable, flexible and innovative partner for producers of engineering plastic parts in Central Europe. To provide a complex solutions in development, production and delivery of engineering plastics for injection moulding and in the field of recycling of technological plastic waste in cooperation with our customers.